Customer retention is essential to the success of your HVAC business. Not only do repeat customers provide you with a steady stream of revenue, they can give you referrals, testimonials, and positive marks on review sites, all of which can lead to new HVAC customers. Upselling and reselling to your current customers is also more cost-effective. Generally, it costs at least 6X more to acquire a new customer than to keep an existing one. And while generating new HVAC leads is important, maintaining lucrative relationships with your existing customers is the best way to achieve long-term success. But in business, anything can happen, and customer lapses can occur for a variety of reasons. Some of your customers may have decided to go with a different contractor, or maybe they just stopped calling. To win back lost HVAC customers, you’ll need a strategy that gets their attention. Believe it or not, one of the best HVAC marketing strategies for this purpose is personalized direct marketing. Direct marketing is a marketing strategy in which a company delivers physical marketing materials to their customers to communicate their products and services. It doesn’t involve placing ads on TV or building a website. The most common form of direct marketing is sending marketing materials in the mail. While this strategy may seem dated, it has more impact today than it ever did. That’s because people have become so accustomed to messages like digital ads that they don’t garner much of their attention anymore. The cost of competing against bigger players in digital space often outweighs the benefit, especially for small-to-medium-sized HVAC businesses who are competing for local customers. Additionally, many people would rather receive promotions from businesses in the mail. According to Adweek, 54% of people prefer to receive promotions from businesses via direct mail – that’s compared to 38% who prefer to receive them through a company website and 20% who prefer to follow a business on social media to receive updates. But what makes direct marketing such an effective form of HVAC marketing, and how can you use it to win back lost HVAC customers? Email marketing is one of the most effective marketing strategies available to HVAC businesses. But inevitably, some marketing emails won’t get your customer’s attention. But with direct mail, your mailings go directly to your customer’s doorstep. 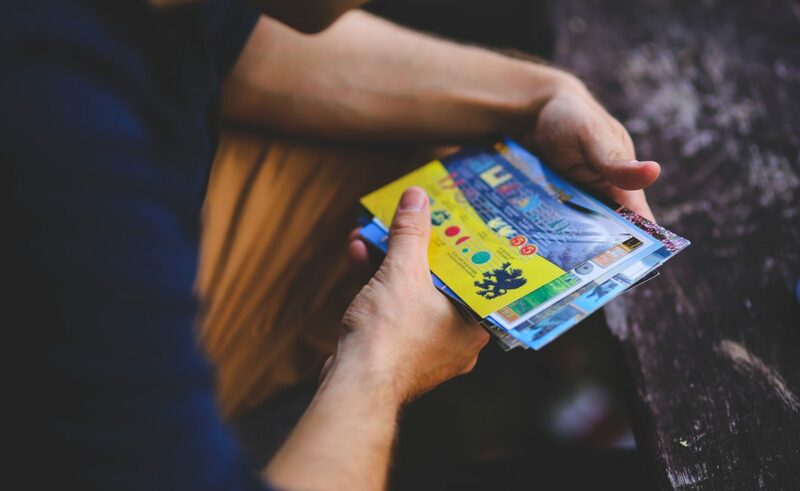 Sending a postcard or an envelope is also a more personal approach than sending an email, which is why it’s highly effective for small and medium-sized businesses who market customers in their own community. In fact, 79% of people will act on direct mail immediately, while only 45% will act on email immediately. A strong approach is to combine the best of digital and direct marketing by communicating with customers through email and direct mail. You don’t need to spend hours addressing envelopes and writing emails, either. 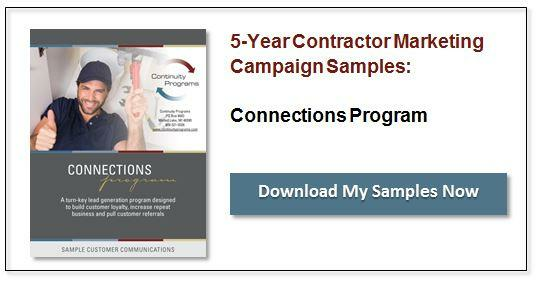 You can do both easily with the right contractor marketing program. Using a turn-key system, you can promote your services, cross-sell other services, and target customers in your geographic location automatically. Win back lost HVAC customers with promotional offers and personalized messages, then retain your existing customers with Thank You Cards, surveys, and follow-ups. According to the Harvard Business Review, increasing your customer retention rates by 5% increases profits by 25% to 95%. If you can incorporate direct marketing into your HVAC marketing strategy, you’ll have a better chance of winning back lost customers, keeping the customers you already have, and achieving your long-term goals.